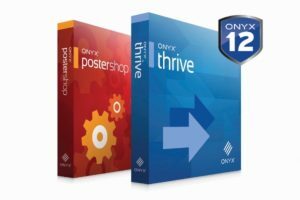 Help your customers manager their business with a free ONYX hub + 10% discount on ONYX Thrive conversions. 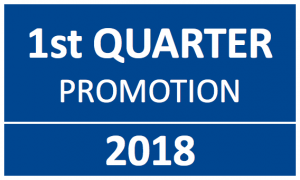 Promo will be active from January 15 until April 30 2018. Extra 10% discount on the list price of conversions to Thrive and on the competitive trade-in to Thrive. 90-day free hub subscription for the customer. At the link below you can download the brochure for your customers and a PowerPoint with the promo details. We need your votes for Wide-Format & Signage’s annual Readers’ Choice Top Products Poll. Please scroll down to section 19, 20 and 22 and vote for ONYX products within each of the categories listed. One vote per person – but send this email to your colleagues to vote too! With the introduction of ONYX hub we made some changes to the ONYX advantage pricing. We simplified the number of order lines and added a Gold program to ONYX advantage for ONYX Thrive. With the Gold contract Thrive users will get access to ONYX hub. To use ONYX hub customers need to be on an active ONYX Advantage Gold. When the contract ends ONYX hub will no longer work and customers have no longer access to the ONYX hub data. As long as customers have a Gold contract ONYX hub will work. With the new price list also rearranged the pricing of ONYX Advantage for RipCenter, Postershop and ProductionHouse. From now on there is a difference between Postershop and ProductionHouse Advantage. In the month 2017 it’s still possible to offer your customers ONYX Advantage contracts with the old pricing. All orders after July 31, 2017 will be handled with new pricing. Make your ONYX customers database aware that they can save money by updating now. In the last months we added new videos to ONYX TV. Click her to visit ONYX TV and discover all the great videos.